The last episode of the soap opera about Dell's acquisition of EMC was finally aired this week, with the final acquisition of all shares and the trademarks of VMware, Pivotal, RSA and Virtustream for a total of 67 billion US dollars. What should have been a formality for Dell turned out to be a protracted storyline which ran for nearly a year, and which attracted the unwelcome attention of competition authorities worldwide. From the end of February legal obstacles started to be lifted, starting with the green light being given by US authorities, followed a few days later by a positive opinion from the European Commission, leaving on the Chinese. Beijing decided to lift their restrictions, agreeing to the sale on 30 August. 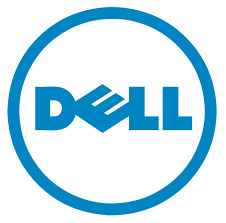 However, Dell has had to part with some of its subsidiaries in order to find the cash for the acquisition of EMC. The IT Service division was sold for $3.05 billion, and the software division for $2 billion. Michael Dell had described the moment the General Assembly of EMC shareholders voted 98% in favor of the merger between the two companies as "historic." The new computer giant will bear the name Dell Technologies, will have approximately 140,000 employees and an annual turnover of 80 billion. This acquisition will enable Dell to compete with IT heavyweights like IBM or Microsoft.